Blog » Lambing, Calving and Glamping at Humble Bee Farm! 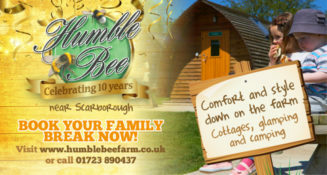 Humble Bee Farm is nestled in the Yorkshire Wolds near to Scarborough and the Yorkshire Coast. They have a range of accommodation on their working farm from luxury cottages to Wigwam® Cabins, Yurts and standard camping. 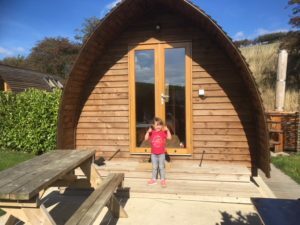 I took my kids for a surprise weekend away their last September and we loved it (you can read all about that here), we’re planning to return this year. For guests at farm, they also a Nature Trail, playground and sports field but they also put on extra events and activities for guests to make their stay extra special. There are lots of great events coming up in February and March…..
February Half Term – It’s not too late to book a last minute get away for half term! Limited availability, call us today to book in. Kids Go Free to 8th March!! Bring up to three children for FREE (with two full paying adults) into one of our spacious Big Chief Wigwam® Cabins, minimum stay two nights. Prices from £100.00, inc up to 3 children FREE! Read more on the website here. Lambing & Calving 2019 – Our Lambing & Calving Weekends are some of our most popular events. Join Farmer Percy in the lambing shed for one of the highlights of the farming year. Our flock of ewes and herd of cows should be ready to give birth to a new generation of lambs and calves. 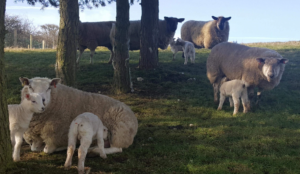 Farmer Percy will tell you all about how the lambing and calving season ‘works’, with a count of the new arrivals and a demonstration of how busy farmers are during the early spring. For guests staying on the 8th & 9th, 15th & 16th, 22nd & 23rd March 2019. Want to have a look around but not stay over? We are opening our doors to the public for our lambing & Calving Open Day on 24th March! Please book a space here. Celebrate Mother’s Day Down on the Farm! We even have an exciting Wildlife Ramble taking place on 30th March for the whole family to enjoy. This includes the first signs of Spring arriving on the farm with this gentle wildlife ramble around the nature trail. Spot hares displaying in the fields and barn owls hunting over the grassland. Do some detective work and see what you and your family can spot. For the Mother’s Day Weekend we have Big Chief Wigwams®, Deluxe Wigwams® and Yurts available. Starting from £160.00 for a family of 4! March Midweek Luxury Cottage Offer! See springtime arrive on our working farm and save around 25% on midweek short break! Ideal for families with pre-schoolers and toddlers who want to make the most of holidays in term time. Full details of these cottage offers here. Bushcraft Events, new for 2019 – Looking further into the year, we have a brand new event which you can attend if staying with us. Join the Hidden Horizons team for a two hour bushcraft session. We will make a shelter, light a fire, forage some food and cook it. Available on April 24th, May 29th & September 21st 2019! For more information about Humble Bee Farm please visit their website here, call the helpful team on 01723 890437 or email info@humblebeefarm.co.uk. Find Humble Bee Farm at Flixton, Scarborough, North Yorkshire, YO11 3UJ.